If you've ever worked the front lines - where you're directly dealing with customers - you know that sometimes, a customer can't be satisfied. It's always a challenge dealing with a difficult customer, but many times, companies have hard and fast rules for how to engage with customers, leaving employees in the position of facing anger, frustration, yelling, and sometimes rage. Is it essential to ensure every customer is satisfied? I would assume that most people would argue, "No." Customer engagement structures - specifically scripts, processes, and protocols - are designed to streamline problem-solving and keep the customer happy, right? I'd argue, "No, they don't." Think about any time where you've spoken with a salesperson, customer service person or even technical support. Within minutes, or even seconds, it's usually clear whether you're speaking to someone that is truly knowledgeable, has decision making power, and truly has your interests and needs in mind. - Keep customers in a slower decision-making process, to create the opportunity to wear you down and sell you ancillary products and services. It's a very typical technique used in selling cars - using time as a tool to draw out the process and wear you down. - Protect the company from losing money or legal action. 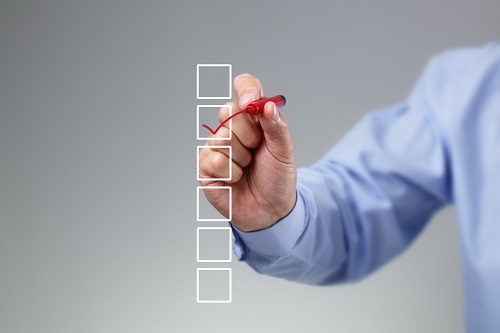 Simply put, if processes are standardized, they can ensure each box is "checked" to avoid any grey areas settling a dispute, as well as having proof to back up the company's position on an issue. - Reduce company costs and expenses. If a company utilizes an automated system to filter customer support calls prior to connecting them with an agent, it reduces company costs including salaries, training, and benefits expenses. In short, many customer service, sales, and support functions are not designed to serve the customer, but rather serve the company. It's very reasonable for a company to believe you can't satisfy every customer. Companies should be aware of who are their truly challenging customers and consider whether they want to continue to do business with them. If that relationship between the company and customer is toxic, sometimes it's best to cut off that relationship. However, if the company is not tooled up to truly listen to, engage, and serve customers, they will have many more unsatisfied customers than happy ones. Or simply many that choose not to complain. The bottom line is many companies don't have issues with mitigating and managing customer satisfaction, but create themselves unhappy and dissatisfied customers due to their internal processes, procedures, and often lack of employee training and support. So, the question isn't so much of whether you should try to satisfy all of your customers, but if you are creating the dissatisfaction yourself.